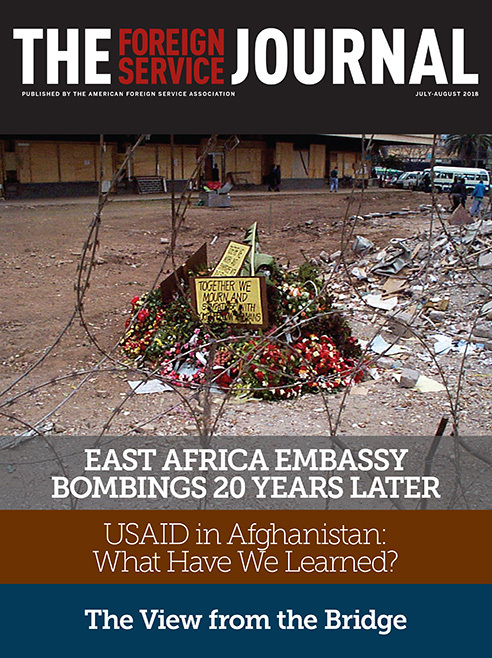 The July/August issue focuses on the 1998 East Africa embassy bombings. Selected excerpts from articles, columns and letters to the editor on the East Africa bombings over the years since 1998. A retired Senior FSO presents lessons from the largest USAID program since Vietnam, a 17-year engagement that has pushed the agency’s capacity to the brink.